Gudrun Willett, Ph.D. has been studying people and society since 1998. Her work has centered on consumer and b to b based market research, education, migration, community building, and institutional culture. She adroitly translates anthropological approaches into real-world solutions for diverse populations in the United States, Europe, and Latin America. Gudrun specializes in mixed-method research project design, administration, management, and analysis. 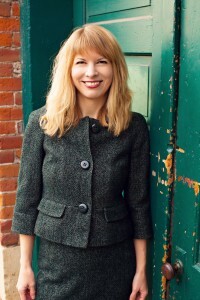 She is highly skilled in a wide range of qualitative and quantitative research techniques, including: one-on-one interviews, ethnographic observation, survey design, and text analysis. With Ethnoscapes Global, Gudrun has applied her research design and data analysis skills to projects that provided new product development and market messaging insights for clients in the financial and legal industries. From 2008 to 2013, Gudrun honed her project management and research skills as project director for the “Tracer Project” at Carleton College. Utilizing interviews, surveys, observational data, institutional data, and discourse analysis, she and the team documented the effects of professional development programming on faculty teaching and student learning. Gudrun is a Fulbright Scholar, a Wenner-Gren Dissertation Fellow, and a Ford Foundation Crossing Borders Fellow in Globalization Studies. She received her Ph.D. from the University of Iowa (2007), and has presented the results of her research at numerous national and international conferences, as well as in academic publications.